DJT Carbon fiber pen, an ideal choice for promotion gifts. DJT Carbon is committed to improving expanding applications of carbon fiber, this carbon fiber fountain pen is well crafted with a minimal and industrial aesthetic that appeals to engineers. The barrel is made out of 3K carbon fiber in plain weave glossy finish. 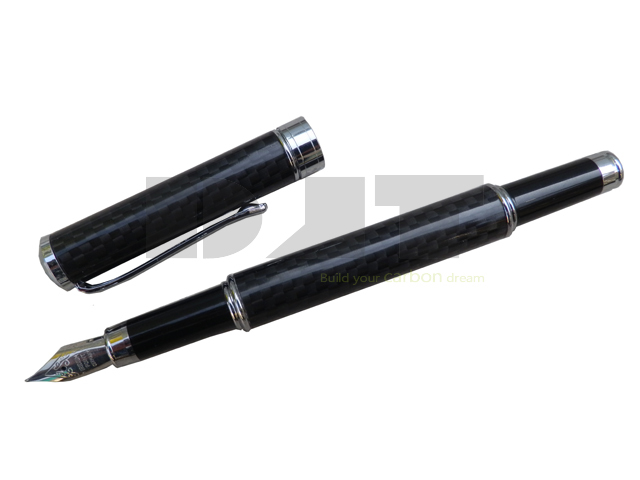 The carbon fiber pen is very light in weight and elegant in carbon fibre look. There are extra gift box to pack it, it would be an ideal choice to be given as a gift to your friends as a unexpected gift. Promotion gifts, Personal use and so on.